Two decades of development practice have highlighted the importance of financial services in the fight against poverty. 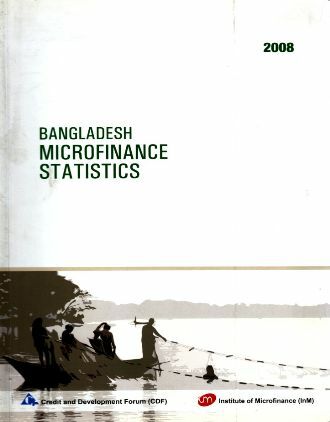 Accordingly microfinance organizations have scaled up their operations in many developing countries, with Bangladesh being a notable example. However, the traditional form of support for microfinance via donor grants and concessional loans is not sustainable. Annual budgets in developing countries in general are historically regarded as the intellectual output of the ivory tower economists and policy planners of these countries. It has been no different in Bangladesh where the budget-making process has largely remained a non-participatory exercise in terms of interacting with the representatives of the poorer sections of the society. The present work critically examines the annual budgets in Bangladesh with particular focus on the social sector and attempts to capture the perceptions of the poor people. BRAC, arguably the world's largest and most successful NGO, is little known outside Bangladesh where it was established in 1972. Author Ian Smillie predicts, however, that this is bound to change. BRAC's success and the spread of its work in health, education, social enterprise development and microfinance dwarfs any other private, government or non-profit enterprise in its impact on tens of thousands of communities in Asia and Africa. THIS BOOK was written as a result of repeated requests from practitioners and donor agencies in the microfinance field. It draws on the author's research and thirteen years of practical experience in Bangladesh, Philippines and East Africa, and on the large and growing microfinance literature. UPL Readers Series is intended to contribute to the process of raising the competence and the vision of students of Bangladesh so as to enable them to come to grips with pioneering first hand research and expose them to advanced literature in their respective disciplines.] 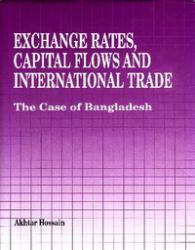 This book of Readings is intended to provide students in Bangladesh an introduction, from original sources, to the concepts and tools of modern microeconomics. Microfinance, particularly microcredit, is recognized as one of the most important interventions to alleviate poverty in Bangladesh. It is now 27 years that non-government institutions have been providing microfinance services. It has grown both vertically and horizontally. In 2008, self provided information of 313 MFIs including Grameen Bank shows, a total of 16.690 branches across the country are providing financial services to the poor. This is the second publication of the joint collaboration of Institute of Microfinance (InM) and Credit and Development Forum (CDF). 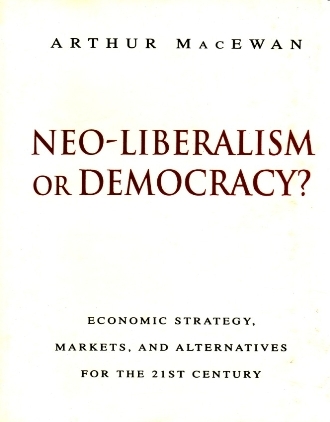 At the turn of the new century, economic thought now faces, this book argues, a fundamental intellectual question, and one with the most profound consequences for all humanity. 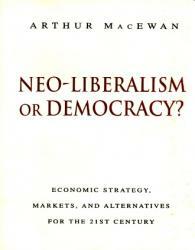 Is it really true, as the devotees of free market economics demand we assume, that there is no alternative to the neo-liberal ideology of (allegedly) self-regulating markets, the abandonment by governments of their economic management responsibilities, and the relentless pressure to cut both real wages and social expenditure? Economic Analyses of Contemporary Issues in Bangladesh is a collection of studies by economists and other social scientists, working mostly on economic and social policies and issues in Bangladesh. This compilation of analytically well-grounded studies by established researchers covers a variety of topics such as economic growth patterns, regional convergence of per-capita income, micro-credits, natural resource management, household choice of water and sanitation facilities, capital markets, exchange rate policy, corruption, and transfer pricing by foreign investors. A The recent Asian and Mexican currency crises have provided a somber lesson that in a global economic setting, the exchange rate policy, and more broadly monetary and financial policy cannot be treated in a business as usual manner. The stake is high because exchange rate policy has profound impact on current and future macroeconomic performance. 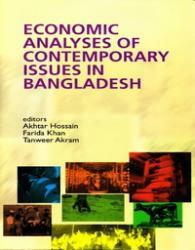 This book is a modest attempt to highlight the above contention from a broad perspective for the emerging market economy of Bangladesh.